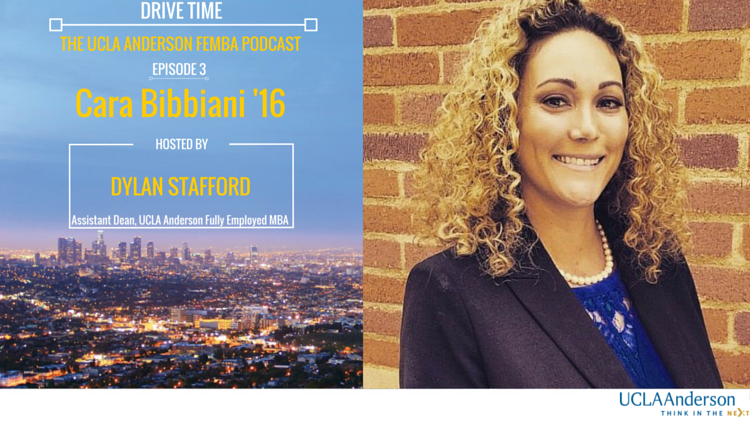 Welcome to Drive Time: The UCLA Anderson FEMBA Podcast. Let us introduce you first-hand to the leaders of UCLA Anderson. Take us with you on the highways and fly-ways of California, your treadmill or jogging trail! Subscribe or Download our podcasts for offline listening. In the last two years, our small-but-mighty Drive Time podcast team has conducted 50 interviews of students, faculty and alumni! Today, we’re proud to release episode #50 with a wonderful conversation with Sana Rahim, Class of 2019, and new founder of Emerge Consulting LA. Enjoy this conversation with Sana to learn about her journey in life and in FEMBA and her big commitment to use her MBA to make the world a better place. You’ll also remember that Sana was the 2017 recipient of the John Wooden Global Leadership Fellow award last fall. I wrote two blog posts on the evening UCLA HEROES PART ONE and UCLA HEROES PART TWO. L-R Sana Rahim ’19, Evan Barnes ’18, Kareem Abdul-Jabbar ’69, Kevin Plank (Founder, CEO and Chairman of Under Armour), Anna Goldberg ’18, and Brandon Scott ’18. Enjoy meeting Helen Magpayo ’08 and learn tips from the master about admission interviewing. Hope you enjoy the final Drive Time podcast interview for 2017. Jenny Leung ’17 is CEO/Founder of BellaNové and her story of dedication and stick-to-it-ness will inspire any budding entrepreneur. Jenny, you make us all proud here at UCLA Anderson! Get inspired and learn best practices from Dr. Nasim Afsar-manesh FEMBA ’17 in this Drive Time podcast interview. Nasim is the Chief Quality Officer for UCLA Health. As an MD and a hospital executive, she is accountable for over 100,000 patients who receive their primary medical care from UCLA. She literally uses her MBA every day to save lives. Nasim shares lessons she learned from a 2-hour dinner with Warren Buffet back at Caltech in college, as well as productivity tips she uses every day today. Trust me: You want to learn from Nasim. Not only does her career touch over 100,000 patients, she has also balanced raising her two young daughters during her FEMBA experience. Nasim is one of the great people in your UCLA Anderson network, and she graciously shares her success strategies with us in this Drive Time podcast. What is Flex like from Houston? And how about your wife flying to LA with you? How does it feel to earn three first place finishes in case competitions during FEMBA? What is FEMBA like during large layoffs at your company? Vishal Saheta ’17 is in a brand new role as a Project Manager at Schulumberger (Fortune #287), and he answers these questions and more in this Drive Time podcast interview. If you’re thinking about Case Competitions, if you’re thinking about Flex, if you’re balancing friends and family and FEMBA, Vishal’s story has something for you. The $10,000 prize is shared by Vishal and his team members Ean Mulligan and Julian Trobe, both in the full-time MBA program. The judges awarded UCLA #1 saying, “The UCLA Anderson Blue team’s solution was clean, concise and well thought-out.” 15 competing teams included HEC Paris, MIT, Duke, Carnegie Mellon, UCLA, Rutgers and Columbia. The UCLA Anderson Energy Management club made this competition available. The UCLA Anderson Management Consulting Association made this competition available, with sponsorship from PwC. Two teams from UCLA actually competed against each other. Teams from seven schools competed, including Stanford, UC Berkeley and Michigan Ross. Vishal’s winning team “The Energizer Bunnies” consisted of Dan Freeman ’15, Dan Abbott ’16, and David Penskar ’16. The first place prize was $2,500. The UCLA Anderson Energy Management club also made this competition available. Global Access Program with Finland and a Global Immersion to Hong Kong. Vishal shares about these two FEMBA experiences. Maximizing productivity in FEMBA Flex. Vishal ends the interview sharing some of his secrets for success. Vishal is a very accomplished person with 17 years of experience in Technology development & Product Management. His pre-UCLA degrees include a BS in Mechanical Engineering from the University of Mumbai (First Class with Distinction) and an MS in Mechanical Engineering from Purdue where he earned a 4.0. UCLA Anderson helped him round out his skill set by building on his finance skills (passed 3 levels of CFA) and innovation skills (24 US and International patents awarded). Five years after graduating UCLA Anderson, Brian Lopez ’12 is the brand new President and co-founder of The Data Analysis Group, Inc. You’ll hear how Brian launched his new company, how he turned an engineering degree in undergrad into a career in forensics and data analytics, and more. Choosing FEMBA after initially planning a full-time MBA pathway when his then-boss launched a firm and took Brian with him. Finding his undergraduate path in engineering through good college counseling and a supportive family environment. Establishing his professional reputation, including being a Certified Fraud Examiner and a Certified IDEA Data Analyst. Brian teaches corporate classes in analytics on the side and regularly speaks at forensics conferences on fraud. Combining his Global Access Program research work with his Korean GAP company with a Global Immersion to Seoul National University. Enjoying his five-year Class reunion this past weekend with networking, food and dancing at Shutters and Hotel del Mar in Santa Monica. Note how he will be following up with fellow Anderson alumni at lunches forthcoming. Sharing his productivity tips, including a great perspective he calls “Be Here Now” and how that perspective not only leads to peace of mind, but also is very supportive of selling work. Brian is a wonderful example of a UCLA Anderson MBA fully leveraged: He’s thinking fearlessly as a forensics expert; He’s sharing success keeping up with peers from school and tapping into the Anderson network: And, he’s driving change, launching his brand new firm. Enjoy this FEMBA Drive Time interview with Brian Lopez. Akshay Grover ’18, is a Sr. Sales Executive at Siemens Building Technologies. Born in New Delhi, he studied abroad, leaving India to go to Dubai to earn his engineering degree. An internship with Siemens became an access for him to come to California. He moved 8,000 miles for his goal of attending UCLA Anderson. You’ll hear Akshay’s story of coming to America and continuing his career growth at Siemens. Specifically, he worked on a sustainability project with San Bernadino County (America’s largest county at over 20,000 square miles) which resulted in over $400,000 in energy and cost savings. This sustainability project caught the attention of TIME Magazine and their new “American Genius” segment, and led to TIME Inc Studios interviewing Akshay and his team last year and creating the video below. Akshay will be a Teaching Assistant this summer, and he’s also gone on a Global Immersion to Germany. Here are some fun photos of visiting the Berlin Wall Museum and spelling F-E-M-B-A with his peers, attending Oktoberfest, and taking a boat tour. Associate Dean Gonzalo Freixes, Akshay Grover ’18 and friends! Flex is FEMBA’s innovative hybrid delivery model that we pioneered in 2012. Flex allows incredible people to earn an MBA who would never be able to earn and MBA otherwise due to the big careers they have already built. Today’s podcast introduces you to two of our FEMBA medical doctors for whom Flex allows for an MBA: Aviva Regev MD FEMBA 16 Clinical Instructor in the Department of Anesthesiology at UCLA Health, and Juan Carlos (JC) Jimenez MD FEMBA 19 Associate Clinical Professor of Vascular Surgery at UCLA Health. How Aviva is now co-teaching “The Business of Healthcare” here at UCLA Anderson with her Department Chair, just nine months after graduation. Meeting together in the Operating Room, as anesthesiologist and vascular surgeon. You’ll hear about these two preparing to conduct a heart transplant! A few of their professional productivity tips that they use to manage their very big careers. Aviva and JC are incredible people; I felt like a “little crumb” in this interview. They are examples of the lifelong career connections that get made in the classrooms of UCLA Anderson. Hope you enjoy this behind-the-scenes look at the lives and careers of Aviva and JC. Mark Lee, FEMBA 2017, Founding Partner of Halo Media Group, with his lovely family at FEMBA Appreciation Day, February 25, 2017. First-ever UCLA Anderson Global Immersion to Thailand/Myanmar, December 2016. Above, left to right: Mike Fetterman 2017, Larry Eng 2018, Victor Gebhardt 2018, Margaret Chang 2018, Jason Davenport 2017, Audrey Barker 2018, Chris Ferruzzi 2017, Susan Francia 2018, Yvonne Tran 2017, Ekta Talwar 2017, and Mason Wang 2017. Mark Lee and FEMBA friends in Greece on the 2015 Global Immersion. This is my favorite foto! Above, left to right: Victor Shyu 16, Mark Reidy 17, Ray Obico 16, Christopher Ferruzzi 17, Brittany Blackamore 16, Mark Lee 17, Caitlin Cassidy 17, and Jonathan Driscoll 17. Enjoy the podcast with Mark! It’s my pleasure to share this Drive Time podcast interview of Dwight Holcomb, GEMBA 2011, President of the UCLA Anderson Board of Directors, and President & CEO of HC Development, Inc. In this podcast, you’ll hear how UCLA Anderson Professor Chris Erickson recruited Dwight from an encounter at Ralph’s in Pasadena! Dwight gives you an insiders view of the UCLA Anderson Board of Directors to hire Anderson (Shout-out to Alum Frank Herrera who’s hired over 50 Anderson grads! ), promote Anderson, and tell the stories of Anderson. We cover the Anderson CEO Forum (a la Vistage). You’ll also learn about a great opportunity every year, the UCLA Anderson Golf Tournament. And we end the podcast with some great, great productivity hacks that you can use today. Loving Hamilton in all its intrinsic American-ness and modern storytelling impact, and more! Meet marketing wonder Amber Jackson, FEMBA 2015, and Senior Manager, Marketing Strategy at The Walt Disney Studios. Amber grew up back east, attended Carnegie-Mellon, and entered the work world with Johnson & Johnson. She then came west, landing at KPMG initially before moving to Warner Bros., both career moves prior to UCLA Anderson, FEMBA and now Disney. For this Drive Time interview, Amber was back on campus supporting one of our Women’s Breakfasts and she generously donated another hour for us to record this interview. It was her first time back on campus in the 18 months since she’d graduated. Amber’s story is definitely a good-to-great UCLA Anderson outcome. Her career outcomes are exactly the type you’d expect from your MBA investment. Learn about specific faculty who taught her here (including Professors Shapiro, Sussman and Ullmen), enjoy some of her productivity tips for professional success, and lastly, her love of Hamilton, a great American story that we love to hear. From FEMBA Council President to Anderson Alumni Board to Winning at TechCrunch Disrupt, we catch up with Grace Chang, FEMBA 2013 to hear about her very busy career trajectory post-graduation. Grace launched Events Sorbet during FEMBA with two fellow FEMBA Council leaders, quickly growing from 3 to 26 people with operations in Los Angeles, San Francisco and New York before they brokered off the business. Grace then went to a mobile chat company, getting her feet wet in a more seasoned start-up and successfully riding through an acquisition, ending up with 6 different offers. UnifyID was the most intriguing of the 6 offers Grace was considering and she signed with UnifyID as both their first-ever product manager and their first non-technical hire. Launched at TechCrunch Disrupt, UnifyID won battlefield runner-up winner (#2 out of 1,000 start-ups competing). Coincidentally, Phillip Chang 17, Head of Information Security at Boingo Wireless, and Drive Time podcast editor, was attending the RSA Conference last month where UnifyID was again one of ten finalists in an innovation competition and won the “RSAC Most Innovative Startup 2017”!). Today, 3/10/17, as we post, Grace’s whole team is headed to SXSW! Back during FEMBA, as FEMBA Council President, Grace was the organizer of the first ever “Opportunity/Enterpreneurship/Club Zone” at the very ever first FEMBApalooza in the summer of 2012. She reflects on taking on leadership roles during FEMBAs that were not offered at work, and how she grew from the opportunity. Learn about all of this and more from Grace Chang ’13 in this episode of our Drive Time podcast. What’s it like to successfully found Progress Brewing, now be opening a wine bar, and already be changing management style due to Professor Bendersky’s Organizational Behavior course first quarter? What’s it like to come to the United States with no undergraduate degree, earn a Ph.D. in Chemistry from Caltech, have over 45 peer-reviewed publications and 4,000 citations, an h-index of 35, and then begin FEMBA? What’s it like to donate four kegs to FEMBApalooza, plus 12 cases of beer to the Craft Beer Club, and serve on FEMBA Council? You’ll learn all this and more in this Drive Time Podcast with Diego Benitez ’19, including his favorite time management tips. “FEMBA is one of the best decisions of my life.” –Diego Benitez. That is high praise from any FEMBA, but especially from Diego. Enjoy! This is one of our richest, most interesting podcasts yet! Will the MBA work for an English major? Will the MBA help me open my own business? How successful is the MBA for helping to change companies, and could I change companies during FEMBA? Will an MBA make me more confident? Yes, Yes, Very Successful, Yes and YES. This week’s podcast features two recent graduates, Sharon Lee ’15 and also David Duong ’15. Both were very active student leaders while they were here, and each has a very strong return-on-investment story to tell from their FEMBA experience. Also, new for 2017, at the end of this podcast, listen for some bonus tips on professional productivity, some best practices from Sharon and David. So you think you can dance? Wait until you see David Duong 15, and his posse in this magic moment, filmed all around UCLA Anderson. And Australia and Dubai for the Global Access Program! Recorded the afternoon of SuperSaturday #42 (the day that we surpassed 6,000 lifetime FEMBA admission interviews) when Brittany was here as an alumni volunteer. Enjoy! The latest in the global F-E-M-B-A body spelling. This was from Brittany Blackamore 16 (second from left) with Ray Obico (far left) and friends. Brittany Blackamore in Hong Kong at Sotheby’s when we visited and Anderson Alum who is now curator there. Here’s the photo that I mention about 35:00, where I got “verklempt.” Pictured here, from the 2015 Global Immersion to Greece are FEMBAs Victory Shyu, Mark Reidy, Ray Obico, Christopher Ferruzzi, Brittany Blackamore, Mark Lee, Caitlin Cassidy and Jonathan Driscoll! Welcome to the first Drive Time Podcast of 2017, featuring Team 21 Visionaries, the #1 team out of a field of 24 Anderson teams in the 2016 Deloitte Case Competition held here at Anderson last Fall Quarter. Seen above (left to right) are Melissa Tran, Sophia Moreno, Ella Foux and Bradley McGough, all Class of 2018. Congratulations again to Melissa, Sophia, Ella and Bradley. We appreciate your representation of UCLA Anderson! Meet Dr. Jennifer Whitson, Assistant Professor of Management and Organizations. Professor Whitson is well known to Section One FEMBAs in the Class of 2019 as she taught their Leadership Foundations experience this year. Drive Time sits down with Professor Whitson for a thought-provoking interview. Have you ever felt out of control at work? Have you ever noticed a power differential and wondered how that might impact your decision making? Do you ever wonder what it is like for a world-class scholar to choose UCLA Anderson? In honor of Veterans Day, our Drive Time Podcast features FEMBA Alum and Marine Corps Veteran, Doug Longo ’14. Currently residing in Austin, Texas, and working for Dimensional Fund Advisors as a Fixed Income Investment Strategist, Doug was our FEMBA Council President during his time at Anderson as well as VP of the Anderson Student Asset Management (ASAM). Currently, he is the official UCLA Anderson Regional Ambassador in Austin. Being one of youngest Sergeants in Marine Corps history. Doug enlisted in his junior year of high school. He was the “Doogie Howser” of the Marine Corps at 20 years of age. Hearing his gratitude at getting to work at DFA, and connecting with some of the titans of finance, including Nobel Laureate Eugene Fama and Ken French as in the Fama-French three-factor model, plus LOTS of Anderson MBAs. Meet Corinne Bendersky, Associate Professor of Management and Organizations in this Faculty Spotlight podcast. Professor Bendersky is known to FEMBAs (2018 Section 1 and 2019 Section 2) from Leadership Foundations. This fall she is also teaching 2019s in both Sections 2 & 3 in their Organizational Behaviors course, MGMT 409. An overview of her next course, Incentives & Motivations: MGMT 254. offered Wednesday evenings this upcoming Winter Quarter. Her course will be available for bidding this weekend. MGMT 254 is open to EMBA and FTMBA students too and will feature three different keynote guest speakers. Closing remarks for prospective FEMBAs to see the connection of in-class lessons and on-the-job, real-time applicability of the MBA education. How her formative experiences in high school in New Jersey led to her research. Her research studying female firefighters, a career field that it typically no more than 4% female, and what that can teach us for leading organizations. Developing our own self-awareness to become a leader who consciously constructs a context for accurate evaluation that allows others to live up to their potential, seeing what may actually present, but is untapped. We hope you enjoy this week’s Drive Time podcast with our Faculty Spotlight and Associate Professor Corinne Bendersky. What an engaging FEMBA success story! I hope you enjoy listening half as much as I enjoying interviewing. Founding her own company and running it for a decade. Hope you enjoy meeting a dynamic new leader of UCLA Anderson, who is also a FEMBA! Which Round is best for me? Remember, your MBA has already started. All of the introspection that you are doing as you’ve visited campus, or heard a webinar, or researched online, all of that effort is part of your MBA. The consideration you put into choosing your recommenders, the thought you are giving your essays, the words you choose for your resume, all of this is part of your MBA. One strength of UCLA Anderson is the incredible diversity of thought and opportunity here. One challenge of UCLA Anderson is that there will forever be “too many good choices” on the calendar. You prepare yourself best for UCLA Anderson, to get admitted and then to have an amazing education, by spending quality time now in the application process, discerning for yourself your biggest vision, of the best career for you, that you can imagine. Around here at UCLA Anderson, we share success, we think fearlessly, and we drive change. This is a very special culture, and we hope that you will be part of our culture, in the UCLA Anderson FEMBA Class of 2020. This year FEMBA is honored with TWO John Wooden Global Leadership Award Fellowship winners, Datra Oliver ’18 and also Eric Potochek ’18. This week’s FEMBA Drive Time podcast interviews Datra Oliver ’18, who works for Esri as an International Contracts Specialist. Datra’s life journey spans the Bahamas to the US to England and back. She’s met the Queen of England and Nelson Mandela. She’s the mother of a young son and supported her husband earning his PhD. She’s worked in Africa and earned her Law Degree in England, where she is called to both the Bar of England and Wales (2009), and the Bar of The Commonwealth of The Bahamas (2010). Datra is in FEMBA Flex and is about to complete her Core courses. Enjoy hearing Datra’s unique journey thus far, and see where she’s heading next. Julia Ritchie ’17, Manager, McMaster-Carr, is our current FEMBA Council President. She’s a wonderful representative of our FEMBA student body and in this interview, Julia shares her experiences and the benefits from getting involved, building relationships, and pursuing all the resources of UCLA Anderson. Learn about D.I.T.L.O. Hear the Top Three Points Julia advises to all MBAs. Get a behind-the-scenes perspective on the benefits of jumping in fully to the FEMBA experience, including FEMBA Council, Net Impact and SOMA. Enjoy! Why is FEMBA thriving? One answer is leadership from our student body. This week’s Drive Time podcast is a call-to-action for all current and alumni FEMBAs from our FEMBAssador co-Presidents, Blair Nichols ’17 and Geetha Rajan ’17. Hear their plans for how FEMBAssadors will build the best Class of 2020 possible, and how you can help, as well as hear each of their own career victories during FEMBA. Blair is in his second week in a brand new job, after doing an MBA internship last summer; he also just completed a Global Immersion to Japan. Geetha is a Flex student who commuted from Boston to UCLA her first year, and who now commutes from San Francisco. Both are half way through their Global Access Program, in parallel to leading the 2016-2017 FEMBAssadors. Enjoy! For this week’s Drive Time podcast, meet Vanessa Toy, Full-time MBA ’00, and President of Cultivate Creations, a marketing, strategy, innovation consulting practice that drives expansive growth for small to medium size businesses in the natural products industry. What does it take to launch a new teaching pedagogy at an institution with a reputation as respected as UCLA Anderson? Today’s podcast offers an inside view from Dr. George Ingersoll, PhD ’15 and MBA ’09. George was there when Senior Associate Dean Carla Hayn proposed of “FEMBA Flex” for a UCLA Anderson Faculty vote back in 2012. Today he is UCLA Anderson’s Associate Dean for Hybrid Learning. Since 2012, Flex has become a popular schedule option for both Core and elective courses, and has contributed significantly to the growth of FEMBA’s student body in enrollments of women, military, MD, PhD and of course, out-of-area students. Flex has definitely brought talented students to UCLA Anderson who would not be here otherwise. FEMBA Flex is proof-positive of UCLA Anderson’s commitment to Think in the Next. We hope you enjoy George’s interview. In honor of the amazing entering Class of 2019 (which welcomes the most-ever doctoral-level FEMBAs: 8 MDs, 8 PhDs, 1 DDS, 1 EdD, and 1 DMA), this week’s Drive Time podcast features Associate Professor of Finance Bruce Carlin, PhD, MD, MBA. While still working as a medical doctor and professor. He knows what it is like to be a FEMBA! Watching his UCLA Anderson fellow faculty help companies survive the financial crisis. Bruce will be teaching Finance in Spring Quarter to both Flex and one of the all-day Saturday sections. Meet Kimberly Freeman ’02, our UCLA Anderson Assistant Dean for Diversity Initiatives and Community Relations. Kimberly brings three degrees and a career’s worth of making a difference in industry back to UCLA Anderson. We hope you enjoy this interview with a very successful UCLA Anderson alumna, Kimberly Freeman. We are expanding our Drive Time podcasts to include alumni stories. Paraag Lal ’04 is both an inspiring alum and a personal friend. We traveled through India after a FEMBA Global Immersion course. Paraag was a keynote speaker at Leadership Foundations in 2014. Relating to UCLA (and Life) as a Playground and living a life he loves! P.S. Victor Gebhardt ’18 Mongol Rally Update: Crossed Azerbaijan. We hope you enjoy meeting Amy Miller, UCLA Anderson FEMBA Class of 2016. Finally, and after the recording of this podcast, Sean and his wife Laura have welcomed their first daughter Charlotte, who was born healthy and happy the week before graduation. We hope you enjoy meeting Sean Camarella UCLA Anderson FEMBA Class of 2016. The podcast that started my FEMBA Drive Time Podcast! We cover both of my FEMBA Global Immersion Course experiences, India and China, plus more. CultureSync CEO Carrie Kish invited me to be a guest on her podcast, Leadership Unleashed, and that experience led to me creating Drive Time, the FEMBA podcast.